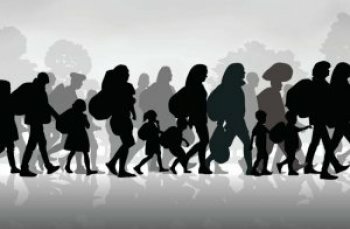 We often write of labor exploitation facilitated by our immigration process, and of instances of endless chain migration, created through the same process. A case has arisen in Colorado that embraces both of those problems at once. And it also deals with the all-too-common phenomenon of an earlier migrant exploiting later ones — in this case an immigrant sister exploiting her own brother, and her brother's family. It is a vivid nightmare for those who defend chain migration. Exploitation. The workplace exploitation was long-term and comprehensive. The victim brother, a Filipino, secured a visa through the help of his sister; once the brother, his wife, and their three sons, all nephews of the sister, arrived in the States, in 2011 and 2012, big sister put the brother and the sister-in-law to work six days a week, nine hours a day, for no pay beyond housing and sometimes inadequate food, to help with a farm, a roadside stand, and various rental properties in Rocky Ford, Colo. The oldest of the sons was treated similarly. Rocky Ford is a small town (population 3,816) in a slowly depopulating rural area of southeastern Colorado. It is in Otero County, where the Filipino population was all of 32 in the 2000 Census. The brother (Esmeraldo Echon, 58) apparently speaks limited English and was thus socially and geographically isolated in his new setting, and that made him that much more vulnerable to his sister's manipulations. She, in turn, according to the complaint, is proficient in English. The sister, Leonida Sackett, 61, was the principal exploiter, according to the civil complaint (case 1;14-cv-03420=-PAB-NYW in the Pacer system), while her husband, William, is mentioned less often in the 25-page complaint; it is noted that he, too, benefitted from the indentured work of his brother-in-law and his family. The sister said that she had paid a lot of money to get the visas and to bring the Echon family to Rocky Ford, and that they owed her the free labor. When they protested she told them that if they did not do what she told them to do, she would have them deported. The Echons apparently believed that the sister had such powers. L. Sackett's parents were unable to control their bodily functions ... their mattresses were saturated with urine and excrement, and, as a result, were very unsanitary. ... Ms. Echon informed L. Sackett that her parents needed new mattresses, sheets and diapers. ... L. Sackett refused to purchase these items for her parents and told Ms. Echon to buy them. ... Ms. Echon could not purchases these items because she was working for L. Sackett full-time without receiving any pay ... eventually ... Ms. Echon called social services to report ... the poor treatment of L. Sackett's parents. ... [O]n information and belief, L. Sackett had been keeping the money her parents were supposed to be receiving from Social Security and had been using if for her own purposes." The Echons' presentation of their case was successful to the point that a federal district court jury voted a $387,621 verdict against the Sacketts on February 14. Unusually for exploitation cases, in this one the exploitees out-lawyered the exploiters, the Sacketts, who were pro se. The Migrant Farm Worker Division of Colorado Legal Services were attorneys for the Echons. The Chain Migration. As is the case all too often in immigration matters that get into court, many of the migration aspects are left unclear; this was true here as well. But with a little help from the State Department's Visa Bulletin of November 2011, the Whites Pages (for the parties' ages), and the complaint, we can put together a reconstruction of what happened. The chain involved at least eight people. In 1976, Leonida, then 19, a native of the Philippines, arrived in the United States. Whether she came as a bride (perhaps to William Sackett) or as a child of her parents, she got here in 1976. Her parents worked long enough to get Social Security credits and Leonida became a citizen and spouse to William. In or about 1988, by then a citizen, Leonida, filed a fourth preference petition for her brother, and perhaps for her sister-in-law. About 10 to a 12 years later, the three sons were apparently added to the petition. Twenty-three years then passed from 1988, as fourth preference visas from these islands have the longest of the waiting lists. In 2011, Esmeraldo Echon arrived in the States; in the next year his spouse and the oldest son, Justin, followed. Presumably the other two sons, who were treated slightly better by Leonida, arrived at about the same time. So this one chain spreads out over 36 years, if not longer. Fortunately, chain migration usually does not relate to exploitative relatives, as it did in this case. On the other hand, the key result of this migration — the arrival of the primary fourth preference beneficiary, the then-52-year-old Esmeraldo Echon, without evident skills, with little English, and with a low-income family — is par for the course, but in this sad instance, it was a no-income family.